Zakat Al-Fitr (zakat of breaking the fast) is a fixed amount that has to be paid by the head of every household - rich and poor alike as long as you are capable - for every member of his or her family before the Eid Prayers at the end of Ramadan. Zakat Al-Mal (zakat of wealth), on the other hand, can be paid anytime and each individual is responsible to pay his or her own zakat. The amount of zakat is variable according to the person’s wealth. Every Muslim—man or woman, child or adult—whose wealth exceeds the nisab (the minimum zakatable amount) and who has had this amount for a whole lunar year must pay Zakat Al-Mal on it at a rate of 2.5%. Zakat Al-Fitr and Zakat Al-Mal are mandatory religious obligations for those who qualify. In addition to their obligations to pay zakat, Muslims are of course also strongly encouraged to pay voluntary charity, or sadaqa. 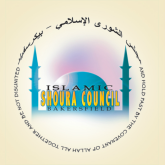 The Islamic Shoura Council of Bakersfield processes both types of zakat and sadaqa. We make great efforts to separate the different types of payments in order to insure that we disperse the funds in a manner that is consistent with Islamic rules. If you would like to pay zakat or voluntary charity using this website, please click on the "DONATE OR PAY ZAKAT HERE! " tab located in the lower left coroner of this page and then choose the appropriate category from the choices available.